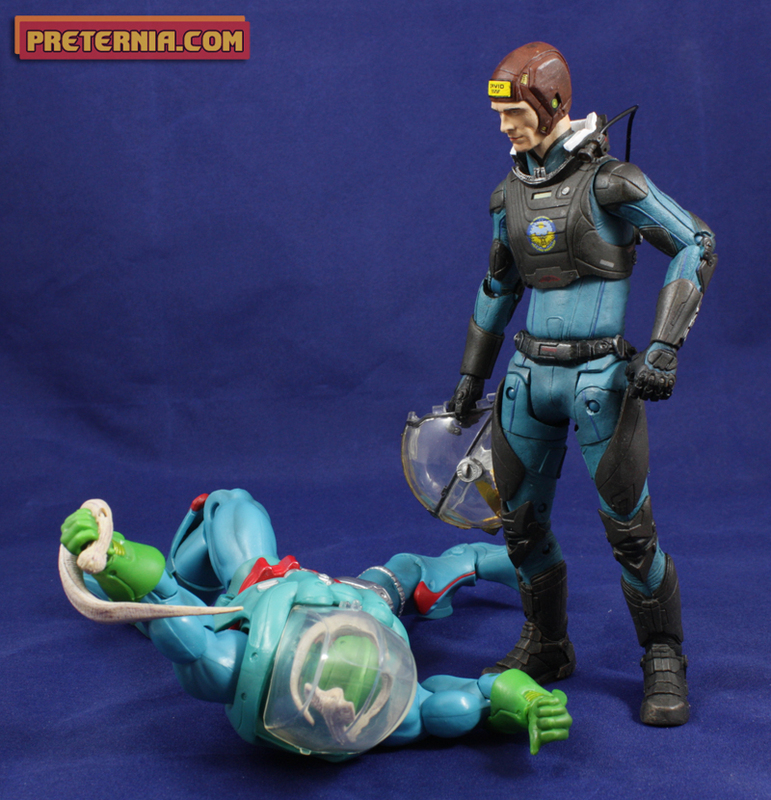 Posted by Jon in MOTUC, Review with 11 comments. Heading into the sauna that was the Mattel presentation at Toy Fair 2014 I noticed there were cases of action figures labelled “MASTERS OF THE UNIVERSE HYDRON FIGURES.” I thought to myself that was odd. Were they the boxes Mattel brought the prototypes in? Or worse, do they expect Hydron to be such a poor seller that they were going to give them out to people who attended their panel? Looks like my second thought nailed it. How’s that for starting out the review in a positive light? I totally get how Hydron is an important character in the New Adventures lore. 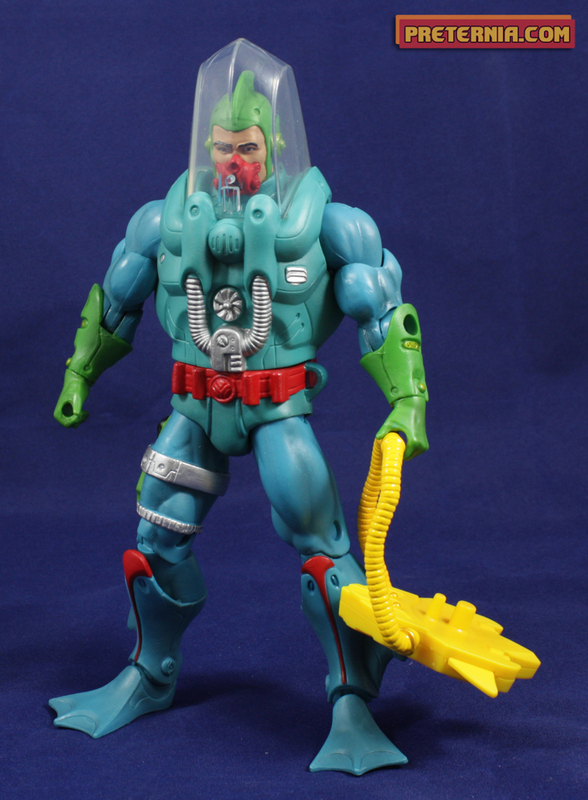 He basically becomes the Man-At-Arms to He-Man when everything goes nuts and they end up in space. In general I have been a pretty big fan of the New Adventures figures that ended up in the Masters of the Universe Classics line. 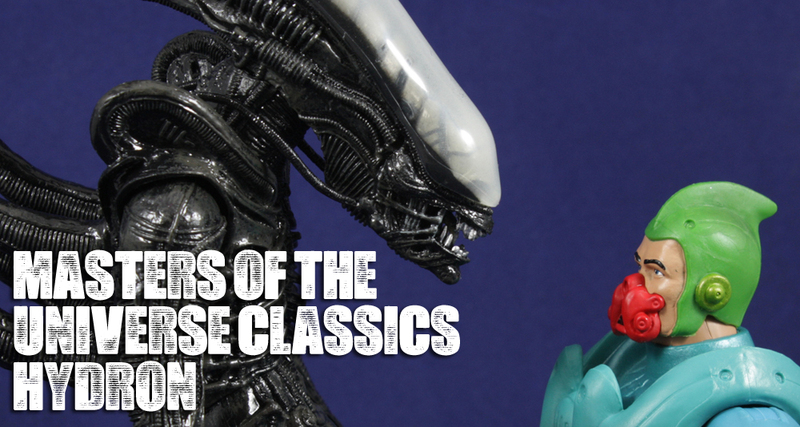 They have all had pretty extensive creative work done to bring them into the “Classics” aesthetic. The villains have all been fantastic because who doesn’t like space mutants? The problem is all of the heroic people are regular old white dudes wearing space outfits designed in the eighties. Icarius was decent enough because he had a gigantic jet pack and an alternate Val Kilmer head. New Adventures He-Man had those awesome wrists I wish every figure came with. Hydron is just a dude in a large clunky space diving-suit. The one thing he does have going for him is his dome. I wish they had done Slush Head’s helmet the same way. 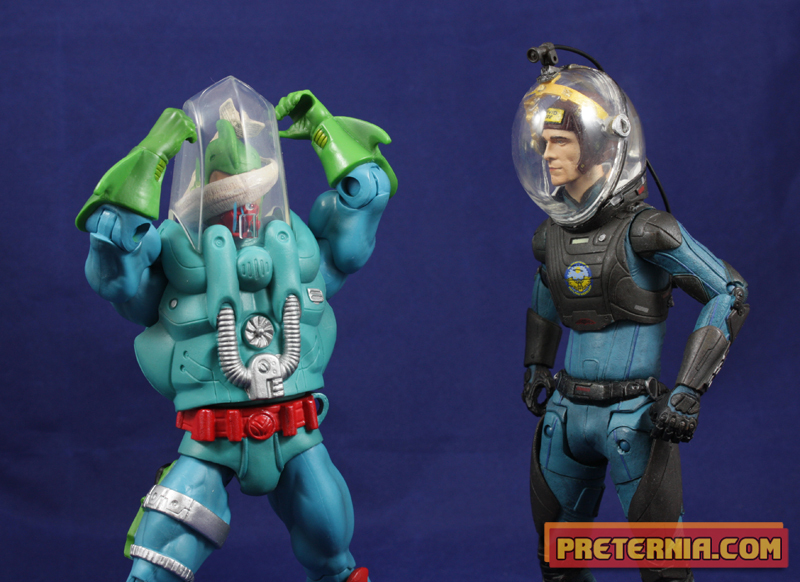 The glass helmet is removable so you can head swap him to your heart’s content. The other positive is that he has flipper feet! Hydron suffers from being overly thick, and this is due to the engineering of the overlay or “armor.” It’s been a trend that the clip part of the armor is placed right under the figure’s armpit, and in turn makes the figures much bulkier than they should be. Two-Bad did the armor clips right by having them clip around his back. Of course Two-Bad already had extra bulk built into his torso, any more and he would probably reach critical mass. Hydron’s suit is bulky, which annoys me, but it also houses his helmet which I do like because it makes more sense than the Slush Head one. 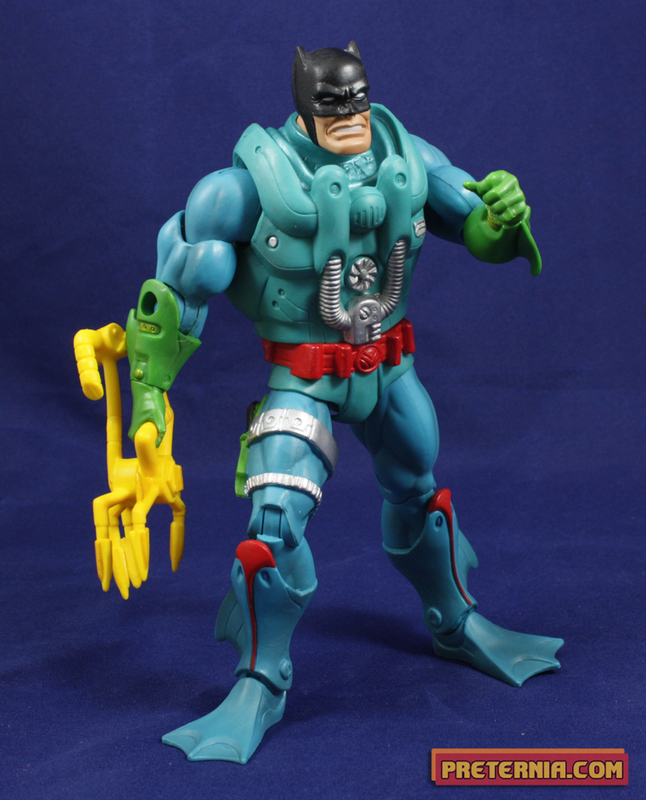 * More than likely an actual early Mattel Scuba Suit Batman variant. While I appreciate the way the helmet looks I do wish he had a little more space to move his head while inside of it. Because of the fin on the top of his head, sliding the helmet on always places his head back into a looking down position. So if you want to get decent head poses you will have to take his dome off. I can’t complain about the paint on Hydron either. He’s no Horde Prime so his accessories have accents, and all the parts sculpted onto his body are painted. There is a slight color difference between his body and the torso overlay. The overlay is blue but with a slightly more green tint. His arms and legs and molded in a pretty solid blue. It’s pretty easy to see when the lights are on him. But if you stick him WAY into the back of your display where he belongs you won’t notice a thing! I appreciate the fact that I got this wonderful figure for free. I do want to thank Mattel for the wonderfully hot presentation room they hosted their event from and the cool swag we got afterwards. What I don’t like to think about is that now I still have $50 + shipping of Hydron heading my way next month. Three Hydrons is more than any sane person should have in their house. I’m going to also guess that this guy isn’t going to light up the secondary market, so it looks like I’ll be stuck with them. 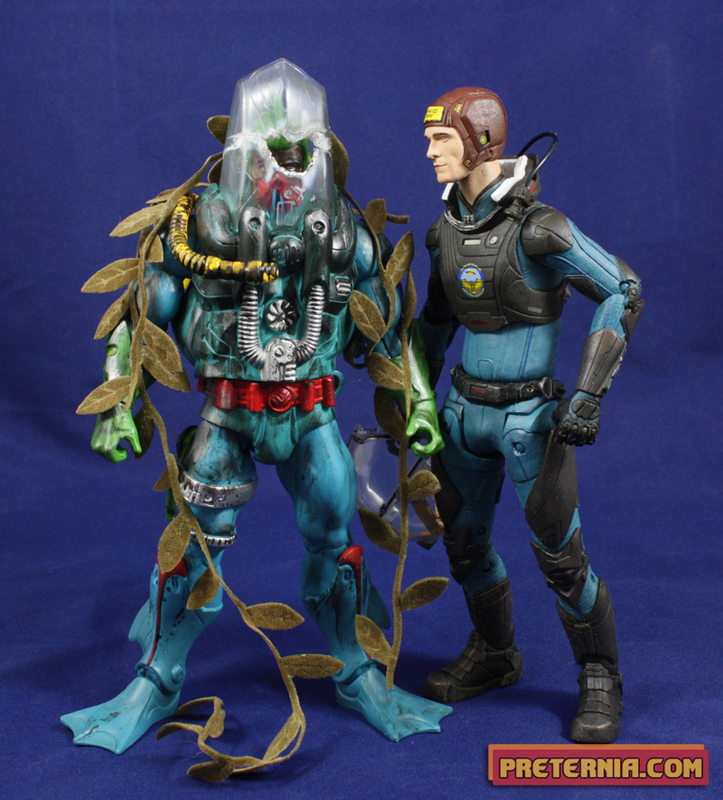 So if you aren’t a subscriber to Club Eternia and DO want Hydron he goes up for sale March 17, 2014. If you are a subscriber you will also be shipped “The Unnamed One,” your club exclusive figure for the year. If you don’t like what the Unnamed One ended up being, I hope you at least enjoy Hydron. Otherwise it’s going to be it’s going to be a long wait for the April figures. I really like Hydron and the New Adventures, so overall I’m pretty pleased with this guy, but I really think this is a figure that deserved a second head. 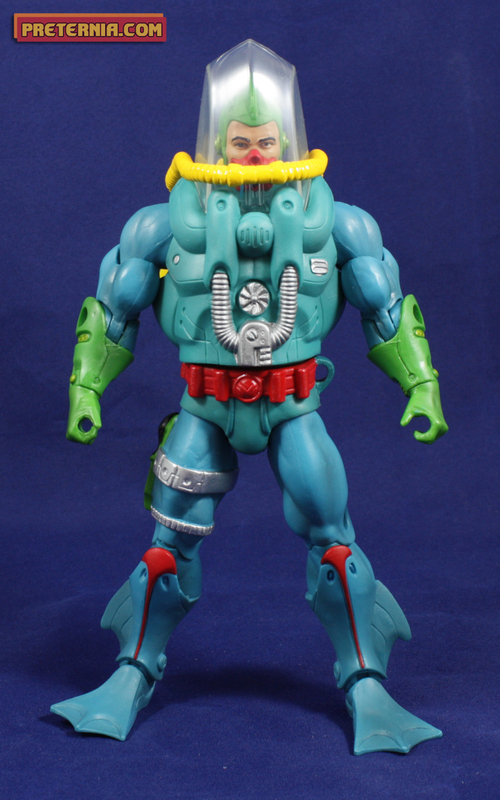 The fact that most of his face is covered by his diving suit really limits him. I’ve always thought Hydron was a strange character design (how often does he need to go diving in space?) but at least in the cartoon he didn’t wear his diving headgear all the time. By including the extra head and maybe making the knife on his hip removable, I think Hydron would have went a long way towards endearing more non-fans. Totally agree on the extra head, actually If they just made it so you could remove the big red breathing thing that would be fine with me too. Engineer a new way to clip in the armor and he would have been a lot more appealing, at least to me. Great review man! love the Batman pic! Super Jealous you got Hydron so early…this is Standor all over again! Next year you are just gonna have to bring Doomkick to Toy Fair! DO IT! I’m not sure how I feel about Hydron. I think he looks neat, but I don’t need someone who is always a diver. I have an extra Flip Shot lying around, I wonder if his silver boots would look too weird on this guy. I think they would match up fine, he already has some silver straps around the top of his leg. May break up some of the blue as well! The problem is all of the heroic people are regular old white dudes wearing space outfits designed in the eighties. Eh, it’s fine but it’s also just boring. Space mutants come in all shapes, colors, and sizes. I just wish the New Adventures fang made some cool space mutant friends to fight along side them as well. I’ve always liked the more humanoid characters better than the monsters/creatures, but I see where you’re coming from. Interesting! 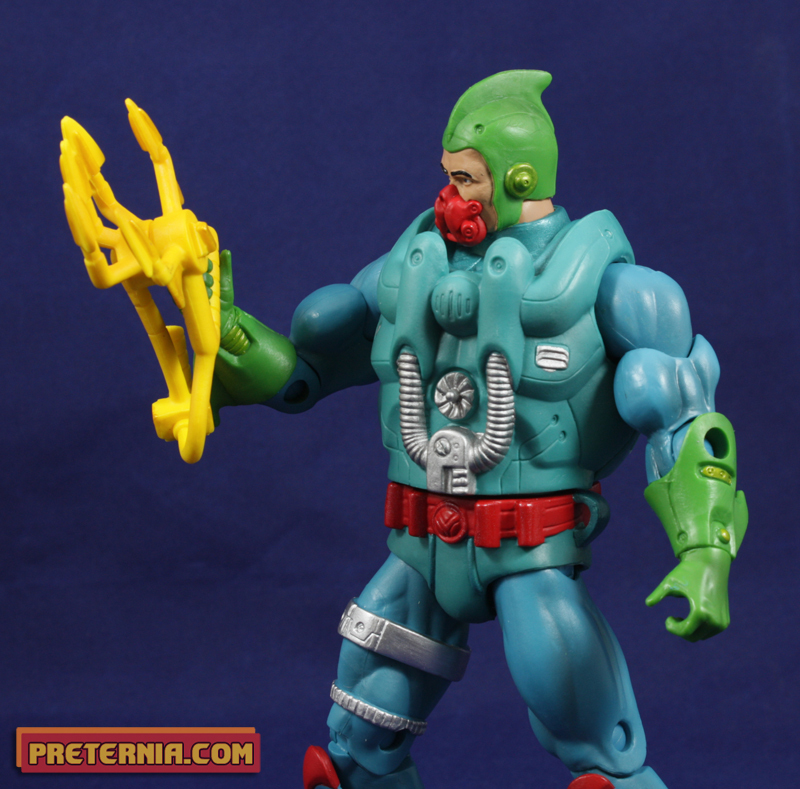 I will say my favorite MOTUC figure ever is Fisto, but then monsters follow him (Whiplash, Modulok, and Mantenna).